Jenga is one of those rare games that turns an incredibly simple concept into an endlessly playable challenge. Like Tetris, checkers, or tic-tac-toe, it doesn't need improving, but that didn't stop Hasbro. 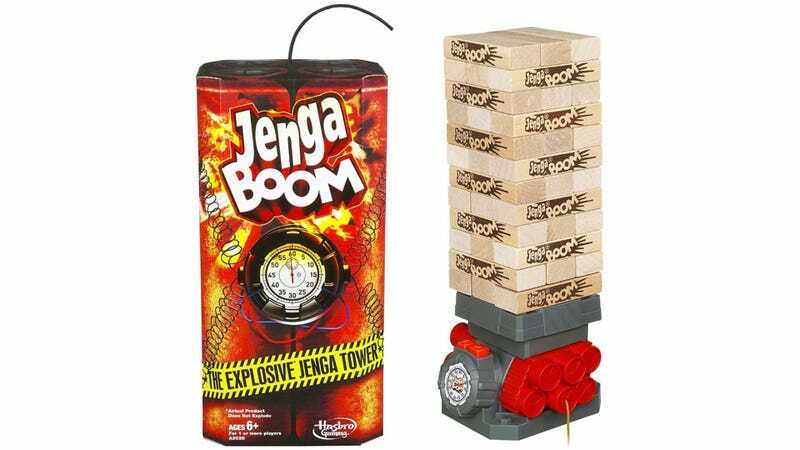 Borrowing an idea from the classic Perfection game, Jenga Boom includes a ticking time bomb base that automatically topples the tower when the timer runs out.